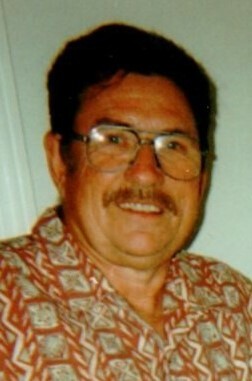 Peter J. Germundson, 77 of Jefferson, died on Friday, November 9, 2018 at his home. Peter was born on August 20, 1941 in Watertown, WI the son of Verl and Bernice (Priewe) Germundson. He is a 1959 graduate of Palmyra High School and joined the US Navy immediately after graduation. On December 7, 1963, Peter married Carol Chamberlain at St. John’s Lutheran Church of Johnson Creek. He worked at Carnation Co. for 30 plus years, retiring in the year 2000. Pete loved to deer hunt and enjoyed following Wisconsin sports. He coached softball for many years and cherished time spent with his family. Peter realized his need for a Savior and accepted Christ later in life. He was a dedicated and active member of Calvary Baptist Church and will be dearly missed. He is survived by: his wife Carol of Jefferson; children Brian (Laryssa) of Jefferson and Brenda Germundson of Milwaukee; grandchildren David, Daniel, and Sara; siblings Susan Loeffler of Milwaukee and William (Dolly) of Salt Lake City, UT. Pete is also survived by a number of nieces, nephews, other relatives and friends. He is preceded in death by his parents, son Brad (1970) and his brother Nyle. A memorial service will be held at 11:00AM on Wednesday, November 14, 2018 at Calvary Baptist Church of Jefferson with Rev. Randy Arbogast presiding. Visitation will be on Tuesday from 4:00PM-6:00PM at the church and on Wednesday from 10:00AM until the time of service also at the church.